You're here because you want to decorate a bedroom, right? 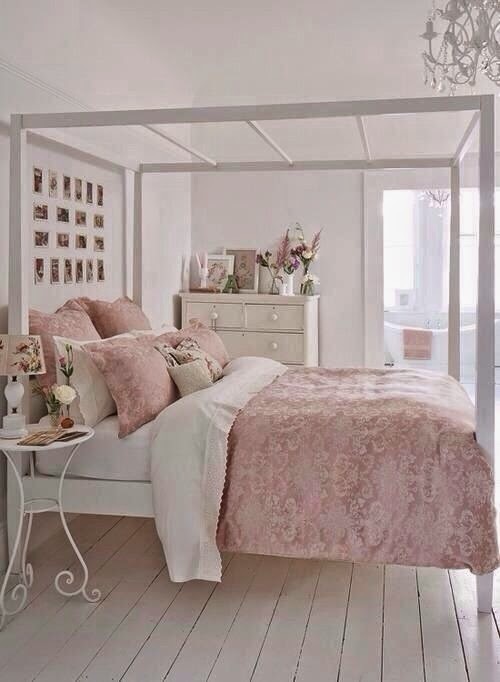 You may want to paint your walls pink, or perhaps you would like to buy pink bedding for your room. 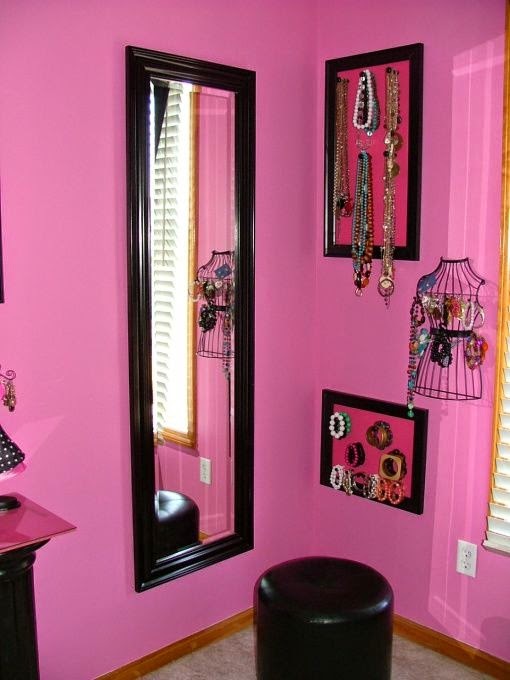 Or maybe you simply want to add pink accents. Where do you start? I would consider this to be your average pink. It's not bright, but it's also not pale. This pink is right in the middle of the pink color spectrum, and you probably can't go wrong building a room around it because it's so middle-of-the-road. These shades work great in nurseries, young girls' rooms, and for accenting any bedroom. The great thing about light pinks is that you can use them as a neutral color in your design. What does that mean? Neutral colors are typically white, beige, gray, and black. They are shades that are considered devoid of color, which are great for interior design. Light pink can be used as a neutral and paired right alongside white or beige without being conspicuous or overbearing. You could paint an entire room this shade without it looking too young or "girly". This is the darker, edgier sister to the other shades. Hot pinks are bright and vivid, and perfect for accents. You might not want to paint your walls this color, but a throw pillow in this shade might be just the ticket to add a splash of color to a subdued space. Teenagers often prefer hot pink to the more traditional shades because it's louder and more in your face, without being too feminine. This shade is often used as a companion to animal prints such as zebra and leopard. Dusty Pinks are more subdued than the traditional shades. Typically, dusty colors are muted and almost melancholy compared to their brighter sisters. Dusty colors are great for interior design because they typically go very well with neutrals. They also look more mature and "experienced" than brighter colors. While an adult woman might not fancy a Barbie pink bedroom, but the same woman may enjoy using dusty pink decor in her bedroom. Use these types of shades on walls or in accents such as throw blankets, pillows, carpeting, or window treatments. Whichever shade you choose, remember that you aren't limited just to bedding or wall colors. You can use your shade pf pink anywhere you want. The sky's the limit!